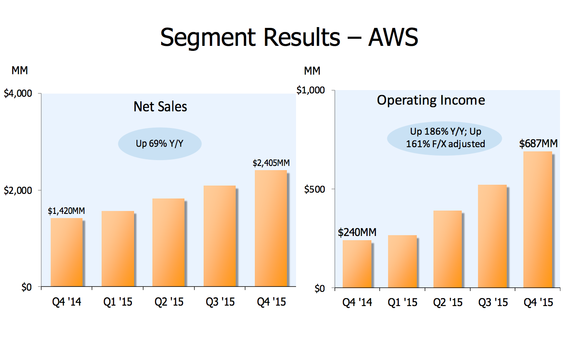 Profits from Amazon's cloud division jumped 69 percent last quarter, but the rest of its business fared less well. Amazon Web Services generated an operating profit of $687 million in the three months to Dec. 31, on sales of $2.4 billion, Amazon said Thursday. That was up from $240 million in profit and sales of $1.4 billion the year before. Amazon started breaking out its cloud numbers last year and it's proved to be the most profitable part of its business. Operating margins were 29 percent last quarter, compared to 3 percent for the company as a whole. AWS isn't growing as fast as Microsoft's Azure services, however, although Azure is growing from a smaller base. Revenue from Azure was up 127 percent last quarter, according to Microsoft, which also reported financial results Thursday. Microsoft doesn't break out a dollar figure for Azure, and the actual numbers are bundled with its on-premises server software in a segment called "intelligent cloud." That division had sales of $6.3 billion last quarter, up just 5 percent from the year before. 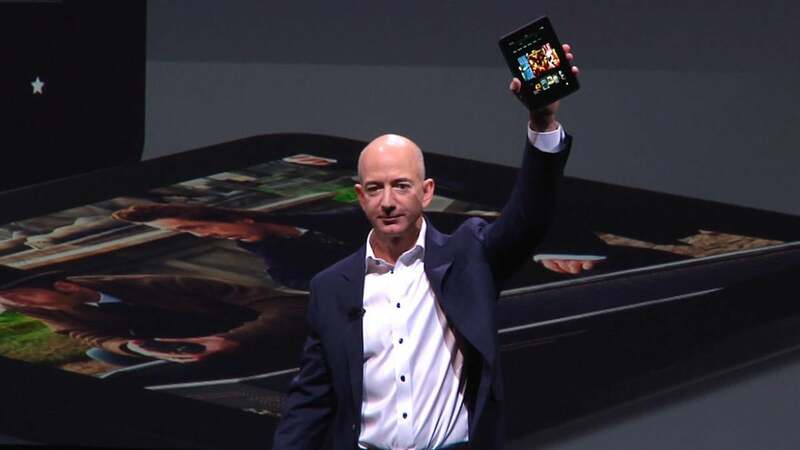 Amazon's results overall, including its e-commerce and media businesses, were less impressive than those of AWS. Total worldwide sales were up 22 percent, to $35.8 billion, but earnings of $1 per share were well below the $1.56 analysts had been expecting, according to a poll by Thomson Reuters. That drove Amazon's shares down 13 percent after hours, to $552, wiping out their 9 percent gain during the regular trading day. Microsoft's shares climbed 3 percent after its results came out, to $53.80.